The GP-6S is designed with the sport driver in mind (hence the "S" designation). It uses the same shell shape as the GP-6 (PED) and state-of-the-art GP-6RC, along with the same wider eye port for increased peripheral vision. The single intake/single exhaust vents provide excellent ventilation performance. 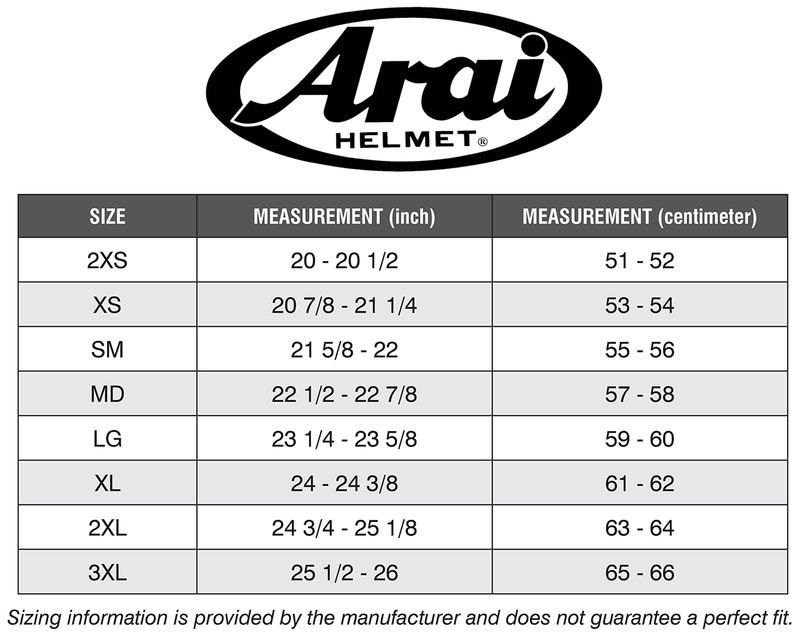 Check the entire list of features and we think you'll agree: The only thing missing from Arai's GP-6S is the higher price tag. Positive shield lock mechanism provides solid latching, while allowing normal operation of the shield. Designed to be an integral component of the shield system and function, not just an add-on afterthought. The simplicity of the function masks the complexity of the design. A feature taken directly from the new GP-6(PED). Large, closeable, intake vent combined with a larger 10mm hole greatly increases air intake. Larger 10mm rear vent hole further increases airflow. Integrated seats to accommodate a variety of Head and Neck Restraint devices. Pre-Installed M6 threaded washer/nut, with 6mm threads, to accept a variety of anchors systems for variety of Head and Neck Restraint devices and make installation much easier for people not familiar with such installations. Flat surface area around the mounting nut to allow the anchor post base to rest flush with the helmet surface around the entire perimeter of the anchor base. FIA-8859-2015 certification sticker applied to the interior liner material.